On January 28, 1989, the 10th Panchen Lama Erdeni Choskyi Gyaltsen, vice-chairman of the Standing Committee of the National People’s Congress, passed away at the age of 51 at Tashilhunpo Monastery in Shigatse, Tibet Autonomous Region due to overwork. On February 15, Wan Li, then-Chairman of the Standing Committee of the National People’s Congress, gave a eulogy at the 10th Panchen Lama’s memorial ceremony, appraising him “a great patriot, a famous state activist, a loyal friend of the Communist Party of China, and an outstanding leader of Tibetan Buddhism in China”. Photo: 10th Panchen Lama presents a khata to Chairman Mao Zedong. The 10th Panchen Lama had a life of patriotism and love for his religion. It was a life destined to be extraordinary. His fate was tied to the Communist Party of China because of an urgent telegram. In 1938, the 10th Panchen Lama was born to a peasant Tibetan family in Wendu Township, Xunhua County, Qinghai Province and was named Gonpo Tseten. In 1941, he was chosen as one of a dozen or so possible successors of the 9th Panchen Lama, and in 1944, after a repeated process, Gonpo Tseten was recognized as the reincarnation of the 9th Panchen Lama by an assembly of monk officials. On June 3,1949, Li Zongren, acting President of the National Government, issued an order acknowledging Gonpo Tseten as the reincarnation of the 9th Panchen Lama, without the need of “lot-drawing”. 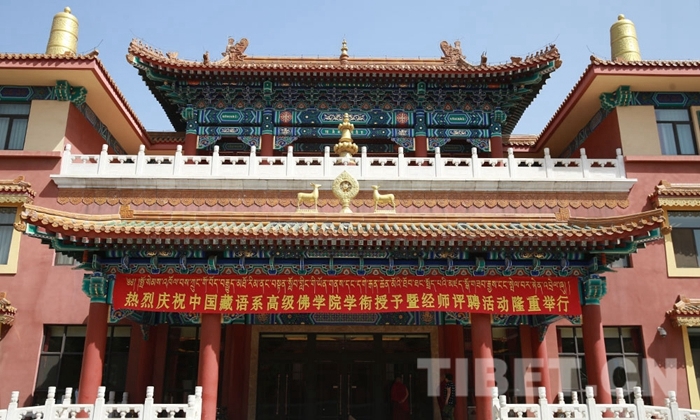 On August 10, 1949, Guan Jiyu, chairman of the Mongolian and Tibetan Committee of the National Government, went to Kumbum Monastery in Qinghai to preside over the enthronement ceremony of the 10th Panchen Lama. For some time thereafter, the National Government tried to persuade the 10th Panchen Lama to flee with them to Taiwan. However, as early as August 6, before the liberation of Lanzhou, capital of Gansu province, an urgent telegram from Beijing became an important factor in influencing the Panchen Lama’s choice. 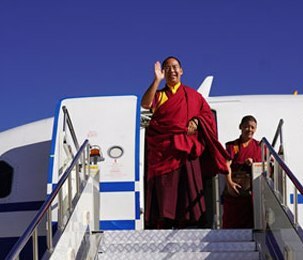 “The Panchen Lama is currently in Lanzhou. When you attack Lanzhou, pay great attention to protecting and respecting the Panchen Lama and Tibetans from Gansu and Qinghai in preparation to resolve the Tibet issue.” The sender of this telegram was Chairman Mao Zedong, and the receiver was commander and political commissar of the First Field Army of the Chinese People’s Liberation Army, Peng Dehuai. 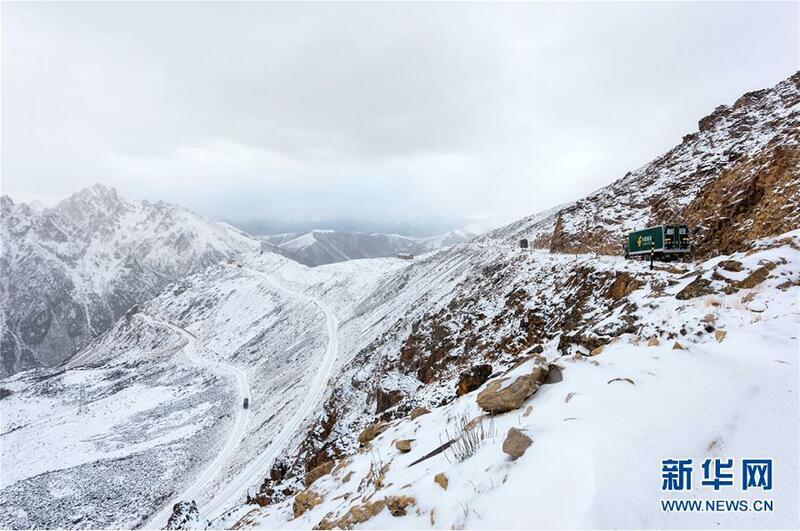 Because of this, according to the instructions of Chairman Mao, the First Field Army quickly contacted the Panchen Lama and his field headquarters. After hard work, the 10th Panchen Lama finally made up his mind to stay in the country. On October 1, 1949, the People’s Republic of China was established. On the same day, the 10th Panchen Lama sent a telegram to Chairman Mao Zedong and Commander Zhu De, enthusiastically praising the founding of the People’s Republic of China and saying, “People’s health and happiness is hopeful, and we await the revival of the country.” He also hoped that Tibet could be liberated as soon as possible. On July 8, 1949, just before the founding of the People’s Republic of China, some pro-imperialists and separatists in Tibet launched the “Expel the Han Incident” and informed the National Government’s Lhasa office: “To prevent the communists from coming, it was decided that you and your families immediately prepare to leave Tibet.” They also occupied the Lhasa radio station. In January 1950, it was even revealed that the Tibetan authorities sent a “goodwill delegation” to the United States, Britain, India, Nepal, and Beijing, indicating their “independence”. In this regard, the Office of Panchen Lama’s secretariat sent a telegram to the Central People’s Government on January 31, 1950 on behalf of patriotic Tibetans, sternly accusing the authorities in Lhasa of “acting to undermine the territorial integrity of the country and violating the will of the Tibetan people”, requesting the Central People’s Government to “quickly send the righteous army, liberate Tibet, eliminate the reactionaries, expel the foreign imperialist forces in Tibet, consolidate the southwestern national defense, and liberate the Tibetan people”. 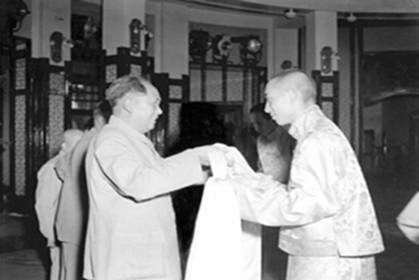 In April 1951, plenipotentiaries from the Central People’s Government and the Tibetan local government met in Beijing to negotiate the peaceful liberation of Tibet. On May 23, the Central People’s Government and the local government of Tibet signed the “Agreement on the Measures for the Peaceful Liberation of Tibet” (referred to as the “17-Article Agreement”). On 24, in order to celebrate the signing of the 17-Article Agreement, Chairman Mao held a grand banquet, which main officials of the Office of Panchen Lama’s secretariat attended. Photo: the Gold Shield: Long live Chairman Mao. 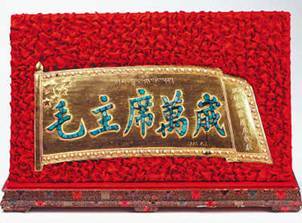 In May 1951, the 10th Panchen Lama presented this gift to Chairman Mao Zedong. January 28, 2019 marks the 30th anniversary of the passing away of the 10th Panchen Lama. Let us remember this pioneer who has contributed to the stability and development of Tibet and ethnic unity. 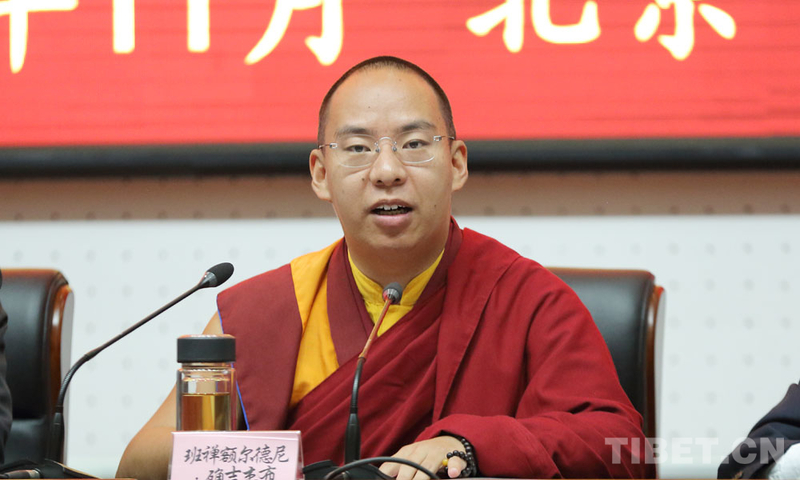 [Video] 11th Panchen Lama: why should we be patriotic?